Barrie will miss you, Alan Thicke. - Very Barrie Colts | A website covering the Barrie Colts of the OHL. 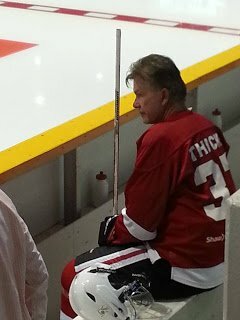 Home Alan Thicke Barrie Colts blog HNIB Hockey Night in Barrie OHL Barrie will miss you, Alan Thicke. Barrie will miss you, Alan Thicke. We are sure you have already heard the sad news that Canadian actor, Alan Thicke passed away yesterday afternoon. The Kirkland Lake, Ontario native was playing hockey with his 19 year old son, where he reportedly suffered a heart attack. He was sent to a nearby hospital where he was pronounced dead around 12:00 pm. A plus note was that a company that recovers organs was able to obtain his organs for donation. The actor was most known for his role as Jason Seaver, the dad on the 80's sitcom 'Growing Pains'. 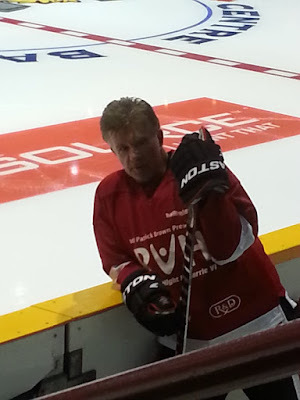 He was a father of 3, a loving husband, a songwriter and a huge hockey fan. 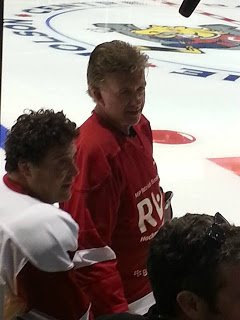 Many locally will remember him for his appearances here in Barrie at Hockey Night in Barrie events. He was always so positive and a pleasure to have at the events. He clearly loved to make people laugh while helping an amazing cause and playing hockey. He might not have been as fast and strong as some of the former/current pros at the event, but his enthusiasm and passion always stood out. Her will be missed and we send our prayers to his family and loved ones. 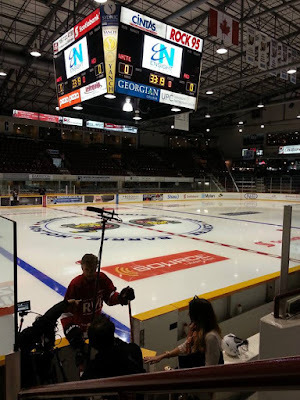 Here is a video put together yesterday by the great people at Runstar Media with some footage of Alan at one of the HNIB events. Personally we would like to thank him for coming out to our HNIB events and donate his valuable time to help our hospital. An amazing entertainer and a better human being. Here are a couple pictures I was able to capture of him at HNIB 6. I know we have more laying around but here are a couple we could find. We will update if we find more.